A 34-year-old woman was killed when she was struck by a piece of a stone gargoyle that fell from a Chicago church in early September. Sarah Bean, 34, was a mother of two and a medical technician at a local hospital. Lance Johnson, her fiance, has filed a wrongful death lawsuit seeking more than $100,000 in damages, according to a story in the Chicago Sun-Times. He and Bean were going to lunch when she was hit. An annual inspection of the Second Presbyterian Church, at 19th Street and Michigan Avenue, was planned for later this year, the Sun-Times story said. City inspectors visited the church most recently in October 2013 for a “minor inspection,” but a 2011 city-ordered structural engineering report noted problems but no “imminently hazardous conditions” at the church which is more than 100 years old. The church subsequently passed inspections in early 2012 and 2013. Earlier this month, two 300-lb. 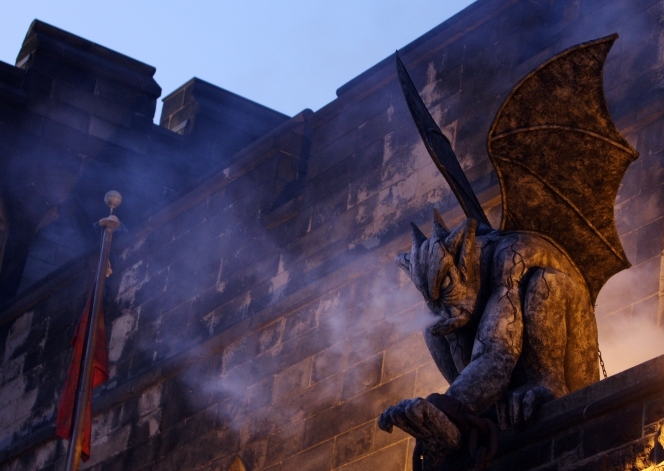 gargoyles were raised to the top of the facade of the abandoned Eastern State Penitentiary in Philadelphia. 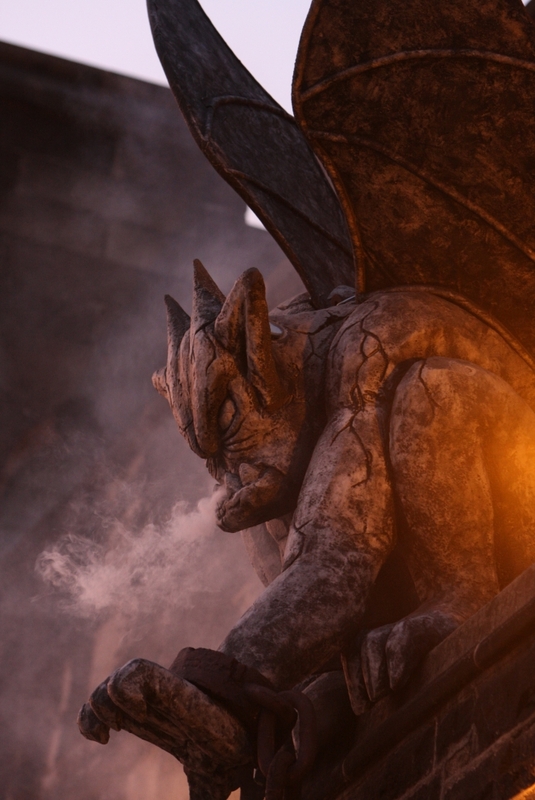 The gargoyles – Frank and Carson – are brought out to help … celebrate? … “Terror Behind the Walls,” called the largest haunted house in the U.S., which is running this year from 19 Sept. through 8 Nov. The event has been held since 1991. 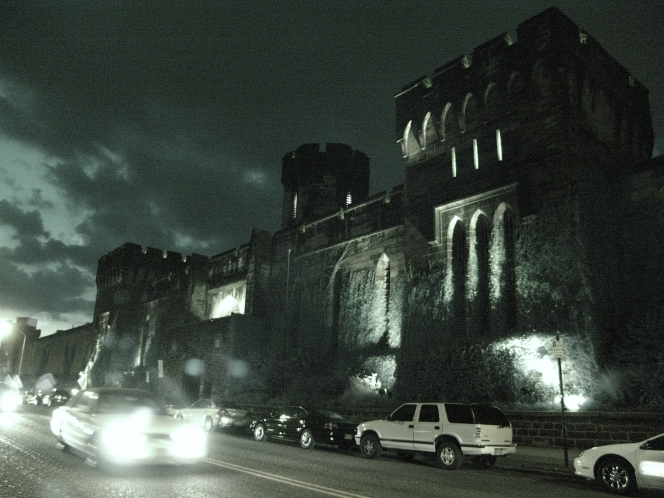 Frank and Carson were designed and built specifically for Eastern State Penitentiary by Creative Visions in St. Louis. Proceeds from admissions go to the operation and preservation of the 19th-century prison, which is National Historic Landmark, according to its website. David Lassman, a writer-photographer at syracuse.com, the website of The Post-Standard newspaper, recently urged people to look up and take notice of the “interesting stone images” on the New York city’s many 19th- and early 20th-century buildings. 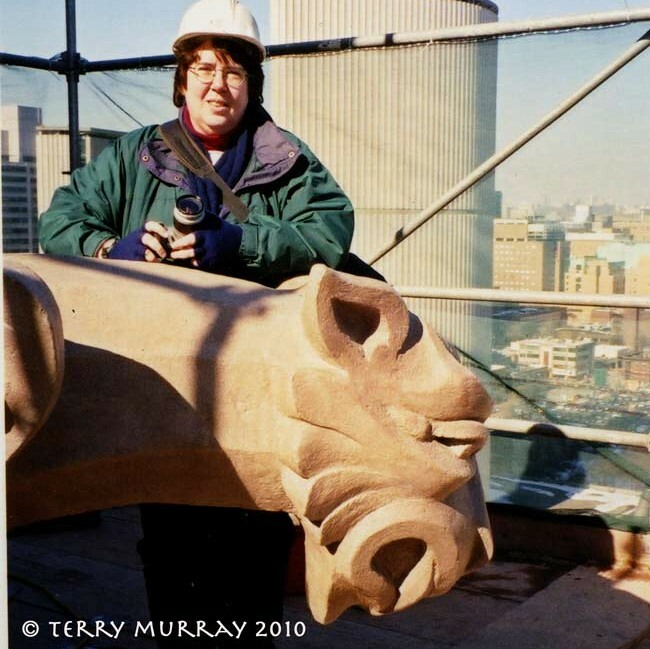 He posted nearly 30 photos of gargoyles (“a weird feature not seen in today’s architecture”), “classical statues” and other faces watching over the them.